That Maya Angelou quote stuck with me from the first time I heard it. And it came racing back to mind when I recently reconnected with David Hein, who is one half of the dream writing team that created the new Broadway musical smash Come From Away (his wife, Irene Sankoff, is the other half). 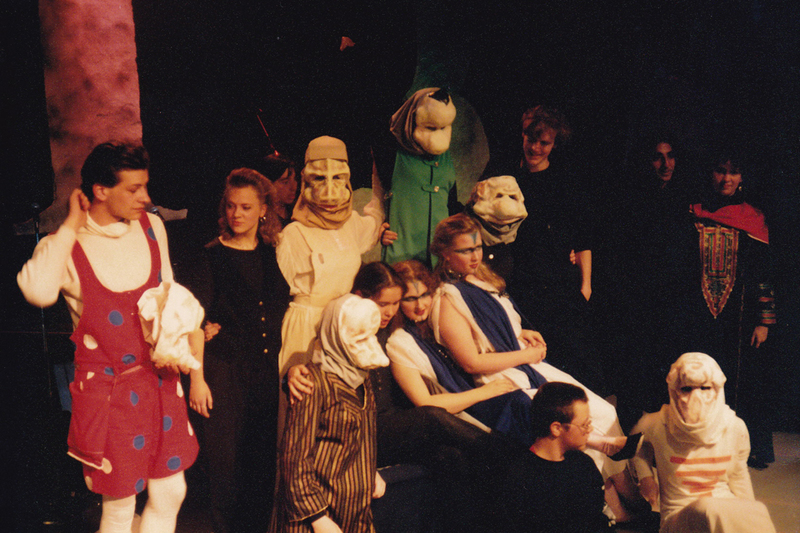 As teenagers, David and I were in the same Ottawa, Ontario acting group—Trevor John Studios, led by Kickass Canadian Trevor John Leclerc (and also attended by Kickass Canadians Matthew Edison and Hannah Moscovitch). Looking back on that experience, I can’t remember many specifics about David, other than that he was very musical. But I clearly remember his presence: He was warm, kind, compassionate, committed and endearing, with an inherent goodness. And he usually sported a smile, the kind that makes your own heart happy. 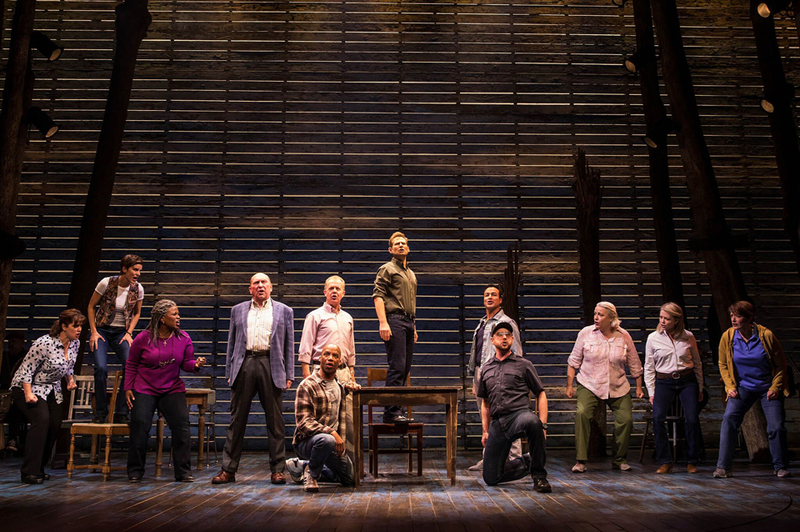 Come From Away tells the story of what happened when 38 passenger flights were rerouted to Gander in the aftermath of the September 11, 2001 terrorist attacks on New York City. In a touching, hilarious and unorthodox musical that is unafraid of breaking dramaturgical rules, audiences across Canada and the United States are discovering the truth of that terrible time: That some good happened, too. Namely, that Gander’s population of 9,000 went above and beyond to welcome the 7,000 stranded, frightened passengers, and that all of them came together in a beautiful demonstration of cooperation, collaboration and compassion. 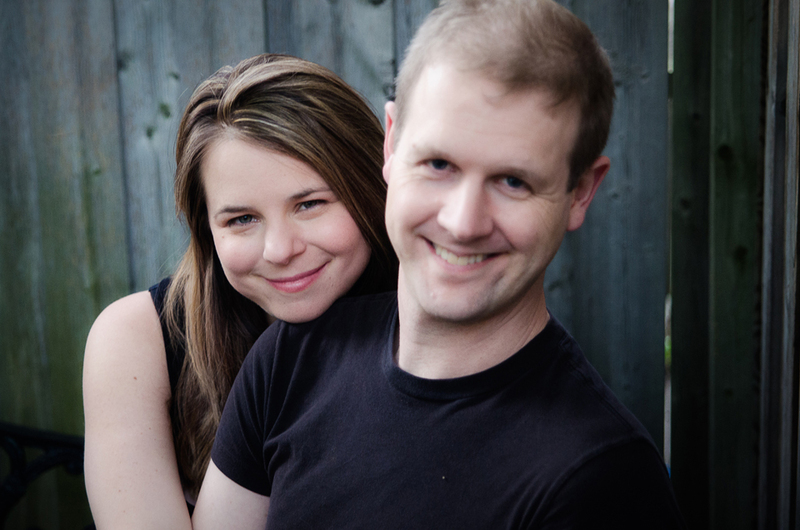 David and Irene started working on Come From Away in September 2011, after being introduced to the story by Michael Rubinoff, who runs Sheridan College’s Canadian Music Theatre Project, where the show was first developed. 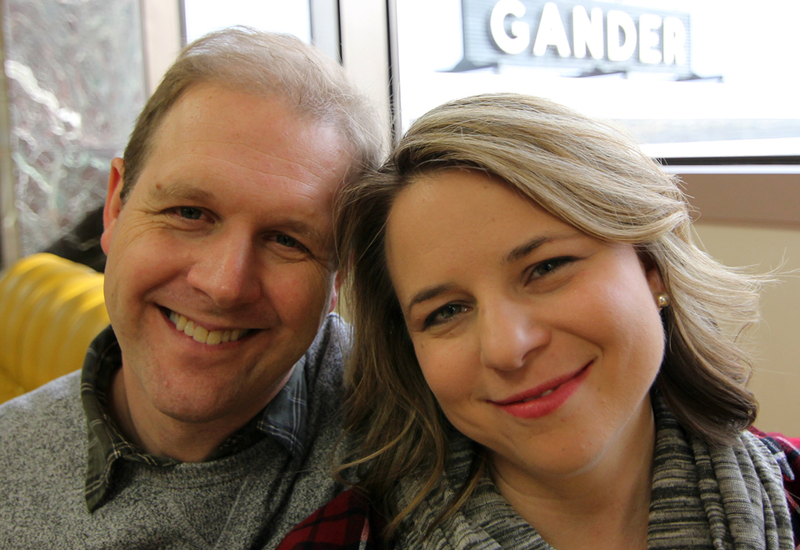 The couple received a generous grant from the Canada Council for the Arts to conduct research in Newfoundland, so they travelled to Gander for a 10th anniversary commemoration of the World Trade Centre attacks and spent a month interviewing close to 16,000 people—locals and “come from aways” who were affected by the rerouting. The writing duo set to work creating composite characters that captured the hearts and stories of many of the locals and travellers. In so doing, they crafted a uniquely authentic show that relies on direct address and, at times, verbatim text from their Gander gatherings. “Everyone is telling a story throughout the entire show, constantly, to the audience and with each other,” says David. It was important to David and Irene that they accurately reflect what happened in Gander and that they honour the people involved—those who generously opened their doors, as well as the passengers who had nowhere else to turn. As much as Come From Away’s success can be attributed to the great story behind it and the people who inspired it, a very large part is also due to the synergy between David and Irene. The couple met in September 1994 on their first day at York University. He was there for a BFA in Theatre Production and Design; she was enrolled in Psychology and Creative Writing. But they shared, among other things, a deep passion for music. With dreams of going pro at singing-songwriting and acting, David and Irene moved to New York City in 1999. She pursued an MFA in acting from The New School’s Actors Studio while David, who had dual citizenship thanks to his American parents, worked at a Muppets recording studio (and borrowed their equipment to record songs in his off hours). They lived at International House, joined by students from 110 different countries. Many were studying at the Manhattan School of Music, others at various local acting institutions. It was in that city, in that company, that David and Irene found themselves on that fateful Tuesday morning in September 2001. As the students waited for one another to come safely back, making sure that each person was accounted for, the small community of people from around the world found new reasons to connect. The experience brought David and Irene closer as a couple, too. Already engaged, they decided not to wait any longer, and the two were married at City Hall in October 2001. “There’s something really good in remembering that there are always more helpers in the world than people who perpetrate (wrongdoings),” says David. Then, life got busy. With day jobs in teaching and graphic design to pay the bills, both eagerly pursued acting and music on the side. They lived together, but rarely spent time together. By 2009, they’d had enough of being “apart.” So, being the creative thinkers they are, they decided to cultivate couple time by writing, producing and performing in a musical together. David had written a song called My Mother’s Lesbian Jewish Wiccan Wedding, based on the true story of his mother coming out, falling for a Wiccan woman and getting married. He and Irene turned it into a musical of the same name, and it became the hit of the 2009 Toronto Fringe Festival. “For us, truth has always been as interesting or more interesting than fiction,” says Irene. The show was picked up by Mirvish Productions, cementing David and Irene’s status as musical-theatre creators—and as a dynamo writing duo. They’ve been close collaborators ever since, and they make it work by observing a number of self-imposed rules. They don’t write when they’re tired, angry or hungry; they don’t discuss their shows in the morning or in bed. And they do their best not to let work encroach on family time with their three-year-old daughter, Molly. “We try to carve out little bits of us that aren’t involved with the show,” says Irene. These days, David, Irene and Molly split their time between New York City and Toronto. 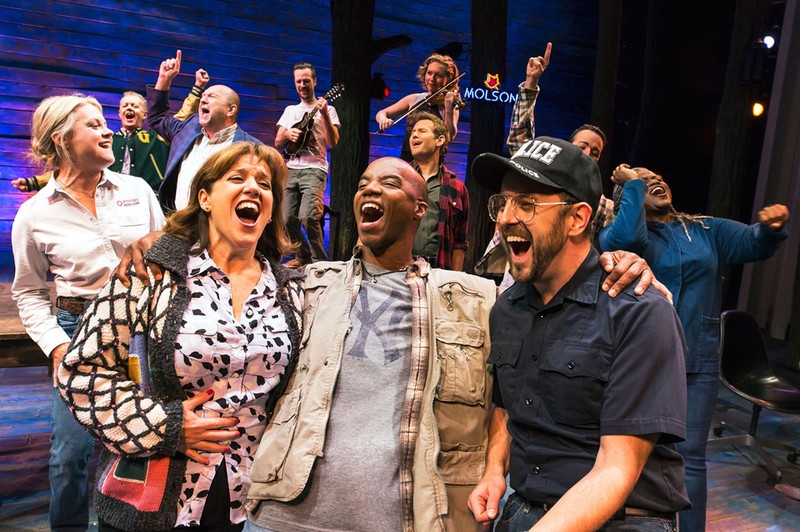 The couple continues to tweak and polish Come From Away, and have begun work on a new musical, which will also draw heavily on true stories. And they hope to perform again in one of their shows at some point. But mostly, they’re just taking things as they come. “It has been such a long road,” says Irene. “I could not have predicted what my life would look like now and I honestly can’t predict what it will look like tomorrow. 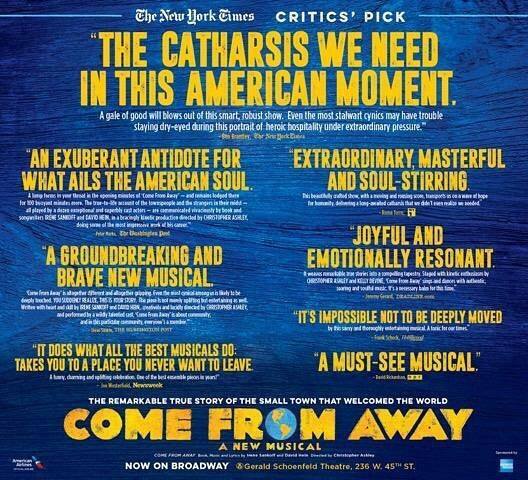 Having been in the business for decades, (the success with Come From Away) has been a relief and a surprise, and we never take a moment for granted because we know that it doesn’t happen to everyone. With that story, and others they choose to tell, David and Irene impart the tremendous gift of making us all feel deeply, in a way we won’t soon forget. In their case, though, it’s a good bet that people will also remember what the pair has said and done. It’s too important not to. For the latest on David and Irene, follow @SankoffandHein on Twitter. Thank you to Wayne Wolfe of Polk & Co. for helping to arrange this interview. 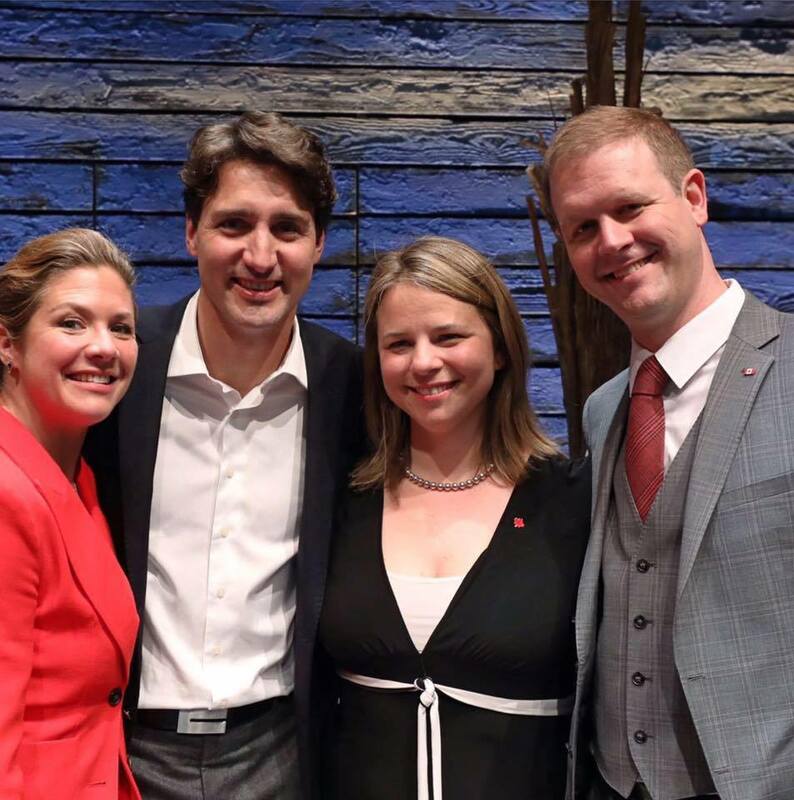 Thank you once again, Amanda, for this inspiring story about such talented Canadians! This couple’s work is both topical and timeless, touching Canada and beyond, just when the world needs better connection and understanding at the human level. I look forward to their work to come!